Making gifts for loved ones is enormously satisfying and receiving a homemade present is a real treat. 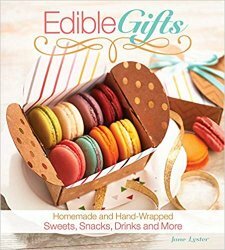 The trend for self-sufficiency is still strong as people move away from mass-produced goods, and this book covers a whole range of delicious gifts to delight and wow the recipient. The gifts to make include jams, chutneys, sweets, biscuits, cakes and drinks - all with ideas and instructions for presentation. Whether it is a gift for a seasonal celebration, for a birthday, a new home or a wedding, there's something here for every occasion. Choose from delicately flavored macaroons, chocolate eggs, homemade pasta, vegetable chutneys and fruit preserves.